Jindal was responding to yesterday’s filing of a lawsuit in the Orleans Parish Central District Court by the Southeast Louisiana Flood Protection Authority-East (SLFPA-E) that some analysts say could be worth billions. In the lawsuit SLFPA-E’s attorneys claim dredging, canal building and other construction projects taken on by the oil and gas industry have resulted in significant coastal erosion in the state equating to about 17 miles of coastal marshland per year that makes communities in the New Orleans area more vulnerable to flooding. Jindal released a statement requesting the SLFPA-E withdraw the lawsuit. “We’re not going to allow a single levee board that has been hijacked by a group of trial lawyers to determine flood protection, coastal restoration and economic repercussions for the entire State of Louisiana,” he said. SLFPA-E’s lead attorney in the matter is Gladstone Jones of New Orleans-based Jones, Swanson, Huddell & Garrison, who specialize in suing oil exploration and production companies. 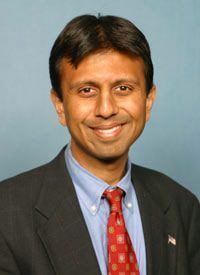 Jindal said the state is already set up to handle the problem due to a constitutional amendment that relegates all future offshore tax revenue to coastal restoration and that the lawsuit may hurt those efforts. “This suit takes a myopic view of coastal Louisiana that actually jeopardizes and undermines our ability to implement the Master Plan,” Jindal said. In addition, the governor questioned the legality of the lawsuit and said that the SLFPA-E is overstepping its authority. However, the Gambit has reported that Attorney General Buddy Caldwell already signed off on the lawsuit’s ability to move forward.